Do you use mail2web Webmail application regularly? With your own personalized version of mail2web.com you can customize your own page to have the look and feel you want and save your email settings for quick access. 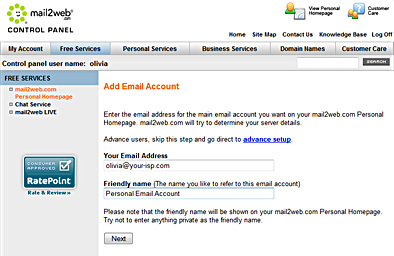 Using the mail2web.com Control Panel you can add multiple email addresses to your Personal Webmail account. Once your account is configured you can just select it from the list, enter your password, and you’re logged in! You can even save contact information and email addresses for your friends, relatives and colleagues so you can easily send them email or get in touch. 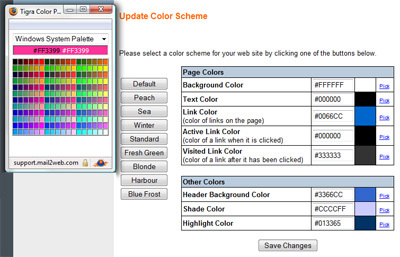 You can customize your color scheme to make your Personal Webmail account look the way you want it. You can even add your own custom image. 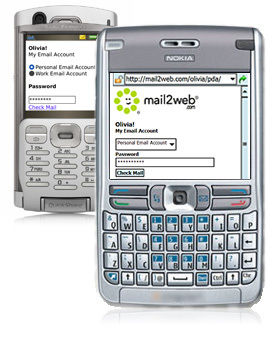 And if you use mail2web.com on your mobile phone or device, you can even access a PDA or WAP version of your Personal Webmail account. 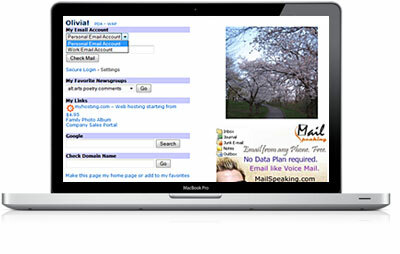 Do you already have a Personal Webmail account and are trying to find it? Just type http://mail2web.com/YOUR-USER-NAME in your browser! The mail2web Chat Service is a Jabber-based Instant Messaging system which simplifies your life by making it easy to access all of your different Instant Messaging accounts under a single system. It also allows users to have one-to-one chat, multi-user chat, the ability to subscribe to someone else's presence, and chat with MSN®, AOL®, YAHOO® and ICQ® Instant Messaging users. To activate your own account, simply sign up for a Personal Webmail account and your Chat Service will be activated at the same time. 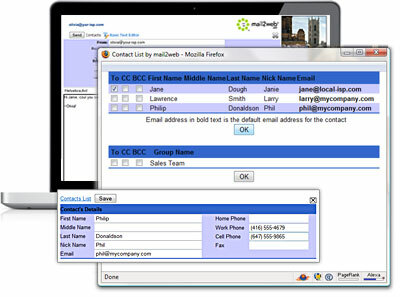 Your Chat username will be the same as your Personal Webmail name and your mail2web.com User Name. And if you already have an account with mail2web.com, you can log into your Control Panel to activate your free Chat Service account. To log into your Chat Service account, you can use our free web client or one of the many freely available Jabber clients.